Building Trust-Based Teams: How Cohesive, Collaborative, and Fun is Yours? Regardless of conceptual methodologies employed (e.g., self-awareness and emotional intelligence processes), the “holy grail” remains trust. It is the end of the means. The above is a partial list. Once your team has achieved mutual trust amongst all team members, you can expect focused communication void of debilitating stress and tension. You can expect increased morale, productivity, and revenue. Expect this as a given. Find additional solid resources at Trust Across America – Trust Around the World http://www.trustacrossamerica.com. The Leadership Trust® has benefited tremendously from the work of CEO Barbara Kimmel who has targeted the best human resources in the leadership industry to meet all your needs. You’ll also find practical, trustworthy “do-it-yourself” activities to invigorate a culture of trust, one that will gift you with the aforementioned bullets and more. Join us in our commitment to elevate trust. 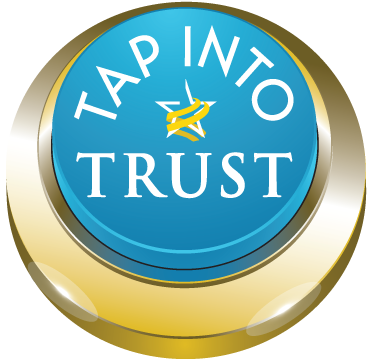 Help us and Trust Across America reach our goal in our Million Taps Campaign™.